Wrinkles around the mouth may form when the collagen in your skin begins to deteriorate. This deterioration causes the skin to lose its elasticity, which results in sagging and wrinkles. There are many factors that may contribute to this deterioration such as sun exposure, facial expression, the natural aging process and smoking. Fortunately, treatments are available to get rid of wrinkles around the mouth. Fraxel laser treatment is a great option for treating wrinkles around the mouth. 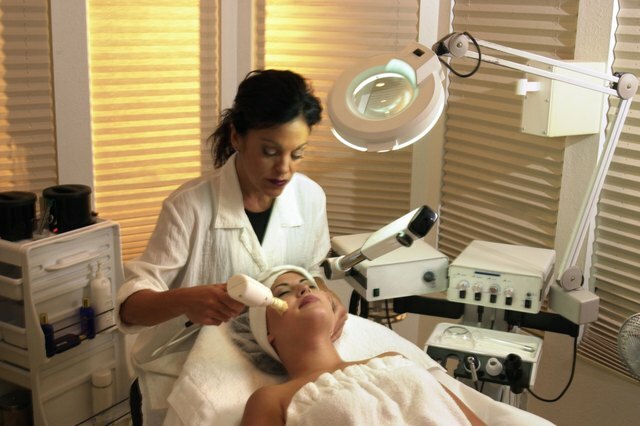 This form of treatment works by using a laser to treat a fractional portion of your skin. This area is considered the microthermal zone. The laser focuses on the epidermis affected by wrinkles to stimulate the collagen. 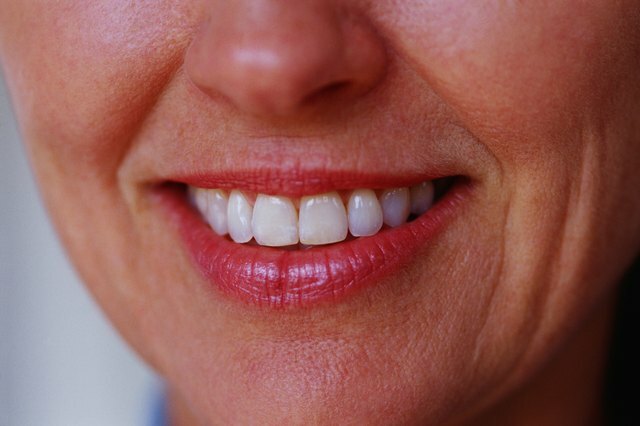 New healthy collagen is formed when the skin heals, which results in a younger looking, tighter area around the mouth. Fraxel laser treatment encourages the growth of healthy facial tissues and overall skin health. This procedure works on a small portion of your skin at a time; additional treatments are required for overall results. A chemical peel is an effective way to reduce wrinkles around your mouth as well as improve your skin texture. This treatment uses chemical such as phenol, trichloroacetic acid (TCA) and alpha hydroxy acids (AHAs) to burn the top layer of your skin. This process works to stimulate and increase the cell regeneration rate to produce healthy, tighter skin. The formula used is individualized to each patient’s skin type. Microdermabrasion is a short, non-invasive procedure that works to resurface the skin to reduce the size and depth of wrinkles around the mouth. This treatment gently abrades the top layer of the skin by using micro aluminum oxide crystals or diamond-tipped wand. When a diamond-tipped wand is used the crystals are replaced with synthetic or natural diamonds for a deeper clean. The diamonds used in this treatment are four times harder than crystals. This process helps to stimulate the layer underneath the skin while exfoliating the wrinkled skin. After exfoliation the healthy, wrinkle-free layer is revealed. 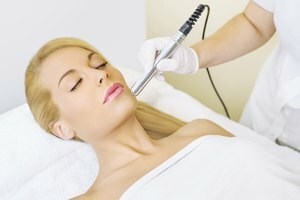 Microdermabrasion can be performed at a spa or a dermatologist's office. There are over-the-counter do-it-yourself treatments available. Multiple treatments are required for the best results. Anti-wrinkle cream is a great form of treatment for wrinkles around the mouth. There are several active ingredients that are commonly found in anti-wrinkle cream. Retinol is an antioxidant that works by neutralizing free radicals that are responsible for the breakdown of the skin cells which cause wrinkles. Tea extract is also an ingredient in anti-wrinkle cream that contains anti-inflammatory and antioxidant properties. Hydroxy acids are ingredients that work to exfoliate your skin by removing dead skin and stimulating the formation of new, healthy skin cells. It is best to exfoliate twice a week when using anti-aging creams. Exfoliation will help to get rid of the dead and damaged top layer of skin so that the skin cells underneath can fully absorb the treatment. You should also use some type of sunscreen when exposed to the sun to prevent wrinkles around the mouth. When your skin is exposed to the sun it deteriorates the natural collagen underneath the skin. Collagen is a natural substance in your body that helps to maintain the firmness of your skin. When the collagen in your skin breaks down your skin may begin to sag and form wrinkles.